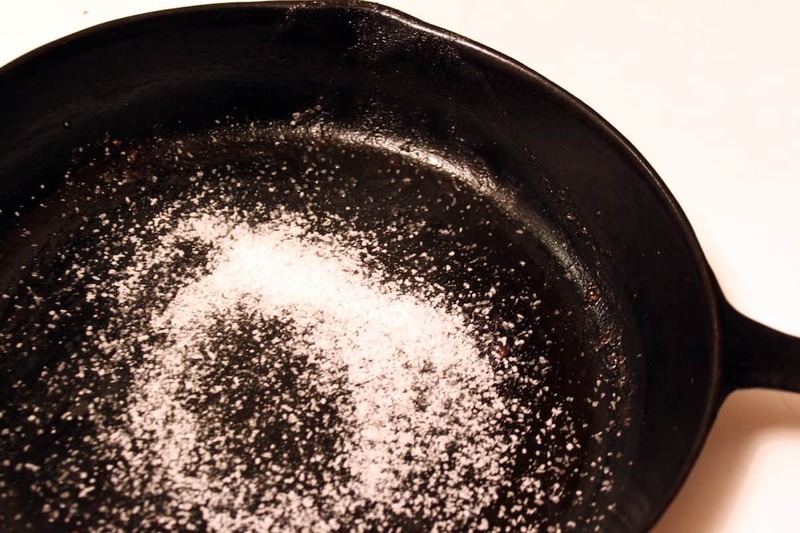 How to Clean and Season Cast Iron Skillets | Good. Food. Stories. As part of my professional life, I often advise cooks on the right tools to outfit their kitchens. And I’m continually surprised at the resistance I encounter when recommending cast iron skillets. It’s not that people are opposed to the price point, at least for the basic skillets—investing in enameled Dutch ovens is a commitment, I know—but that they think the general upkeep is too much or that they’ll do something wrong and ruin the pan. Which is not true. Yes, you do need to season cast iron before it can develop the perfect, long-lasting nonstick finish, but it’s something that happens naturally over time as you cook with it. Cast iron is one of the easiest, most versatile cookware pieces you can use, and here’s how to care for it. The process of making cast-iron cookware is a centuries-old process. Foundries like Lodge, America’s oldest cast iron cookware manufacturer, melt filtered scrap steel and pig iron, then pour the molten metal into a mold that’s been made from pressed sand (like making a high-pressure hollow sandcastle!). Once the metal cools, the sand is broken and blasted away from the newly molded cookware, then recycled for use in the next mold. Because it locks heat in, cast iron’s ideal for almost any cooking method, from frying and searing to braising and even baking. And because it builds up a naturally seasoned surface with every use, there’s no fear of off-gassing or ingesting chemicals. 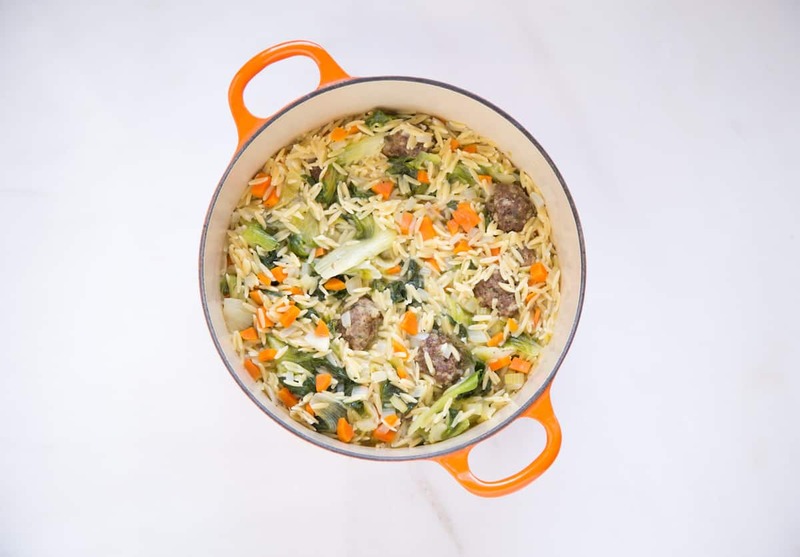 Enameled cast iron—those lusciously colored Dutch ovens and pans—has the same dense metal interior, but because it’s been coated in protective enamel, no seasoning is necessary. Though made essentially the same way, there are slight differences in the various companies’ interior finishes. I hold my flame Le Creuset near and dear to my heart for cooking chili, spaghetti sauce and other slow-simmered foods, but I find the black interior coating on Staub’s cookware is superior for searing. 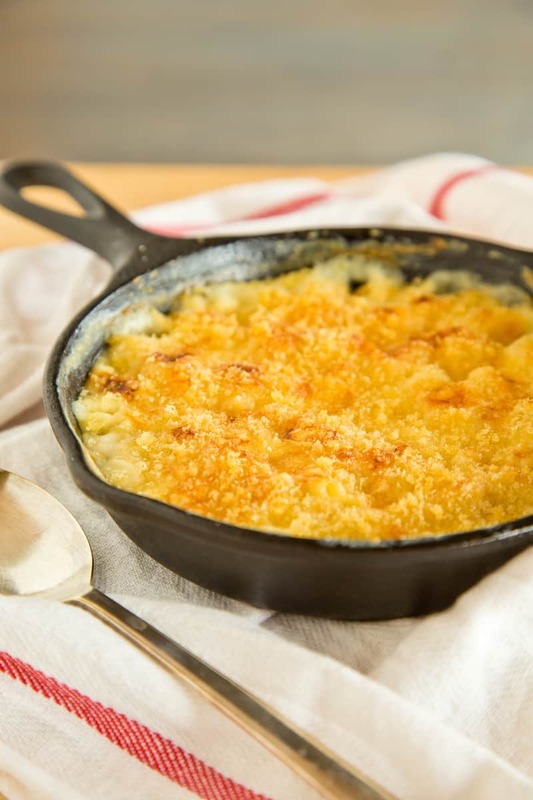 Seasoning a cast iron pan is as easy as coating it with a nice layer of fat and baking it on. All the experts have their own preferred methods for doing this; some swear by avocado oil, which has a ridiculously high smoke point, while others like flaxseed oil because it dries “hard.” Alton Brown rubs his skillet inside and out with melted shortening. I season my cast iron skillets with canola or vegetable oil for a few reasons: it’s a neutrally flavored oil, it’s inexpensive and I’ve always got a gallon or two in the house. Lodge pre-seasons all of its products with vegetable oil in blazing-hot ovens before they leave the factory. To season, rub oil in a thin, even layer all over the skillet with a paper towel and place the pan upside down on the top rack of a preheated 400 degree oven. Set a baking sheet or spread a piece of aluminum foil on the lower rack to catch any drips. Bake for 30 minutes, then remove with oven mitts. Wipe any extra drips or shiny spots with a clean washcloth or paper towel, cool to room temperature, and store. Repeat as needed throughout the year when the seasoning looks a little worn. After your pan has its initial layer of seasoning, you might want to cook a few high-fat foods for its first few spins around the block—pan-fry some chicken, crisp up some bacon—to help build up the surface to a high gloss. Eventually, it’ll be smooth, shiny, and way better than chemically coated nonstick. 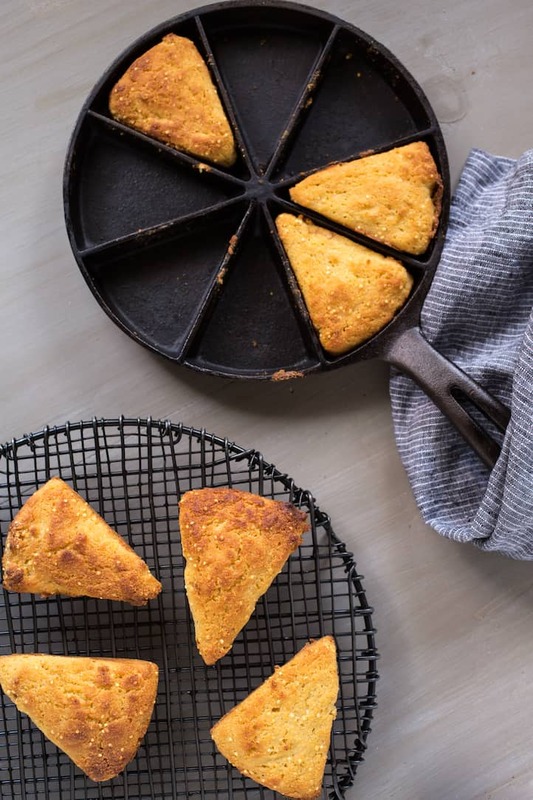 And then the sky’s the limit: fried eggs, cornbread, grilled cheese sandwiches, professionally charred and caramelized steaks, delicately fried fish fillets and crab cakes, fruit cobblers and crumbles…. 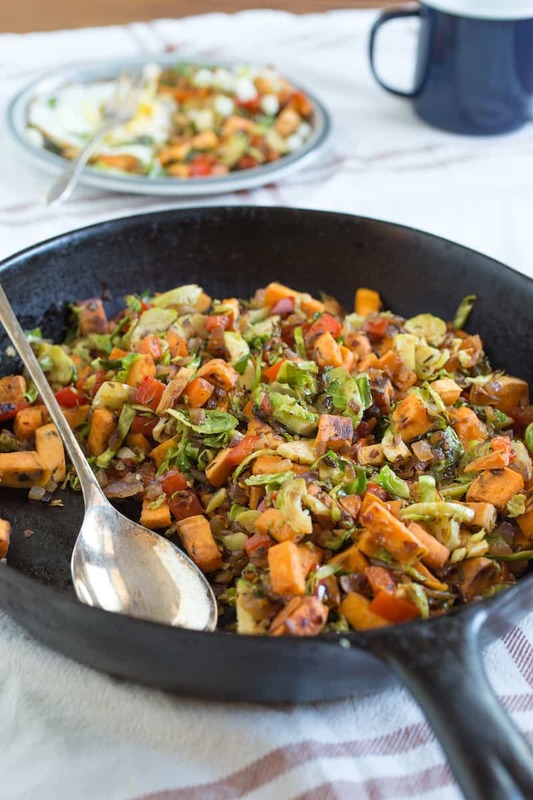 Some think it’s a bunch of malarkey, but high-acid foods like tomatoes and citrus or vinegar-based sauces can potentially degrade the seasoning and leach a metallic taste into the food if left to simmer too long and too often in the pan. But this doesn’t mean you need to avoid acid entirely when cooking in cast iron. It’s perfectly fine to throw some tomatoes into a quick pan sauce, or to deglaze with lemon juice when searing scallops, but I’d avoid using your non-enameled cast iron for making a big batch of red sauce or perfecting your slow-cooked baked beans. Leave those recipes for the enameled cast iron Dutch ovens—that’s why they’ve got the protective coating. 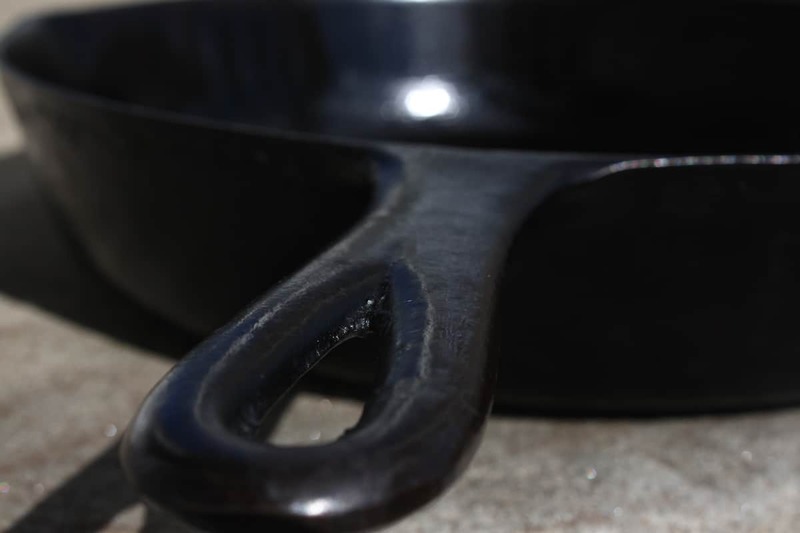 Just avoid using metal utensils on cast iron, lest you mar the well-seasoned finish with scratches. Oh, and all cast iron pans are metal, duh, so don’t put them in the microwave unless you have a death wish. Do you have water? Then you can clean your skillet. Don’t scour it with a soapy lather—that’ll just take the seasoning right off the metal—and don’t you dare put it in the dishwasher. Rinse the pan with hot water and a clean washcloth as soon as it’s cool enough to handle , and scrub off any stuck-on spots by making a paste with a handful of kosher salt. Yep, good old kosher salt, giving your cast iron some natural exfoliation. But maybe you accidentally soaked your cast iron skillet in a sinkful of soapy water, and now the seasoning has rubbed off and it’s rusty in spots. As the Hitchhiker’s Guide to the Galaxy says, don’t panic. And don’t toss that pan in the trash. 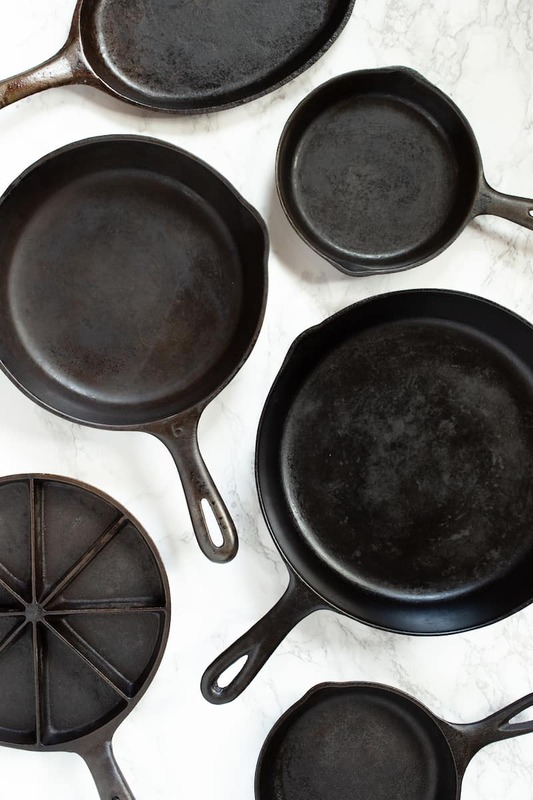 Here’s how to clean cast iron pans that have run into a little trouble, or old pans you’ve picked up at a flea market or tag sale that need a little TLC to get them back to good-as-new. Gently scrape small rust spots or sticky bits away with Bar Keepers Friend and a washcloth. For larger areas of rust or for a whole-body renovation, scrub the pan all over with a steel wool pad. For really terrible-looking pans, you can bring in the big guns: wearing protective gloves in a well-ventilated area, spray the pan with oven cleaner and place in a plastic trash bag. Let sit for 8 hours, then rinse and dry well. Once your cast iron pan has been exfoliated down to the metal, re-season as instructed above and you’re back in business.